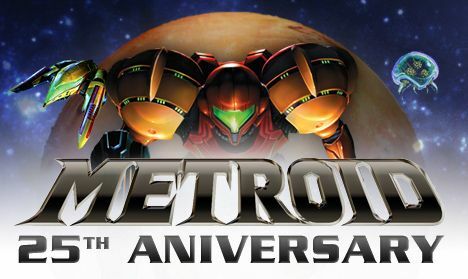 On August 6th, 2011, the Metroid franchise reached an important milestone: it celebrated its 25th anniversary. That’s a significant figure to mark as few other gaming franchises have the power or the credibility to last that long, and fewer still can point towards such incredible games as examples of why such a milestone deserves to be met. In a word, Metroid is phenomenal, and I couldn’t let the birthday pass without marking it in some way here on the blog. The series means a lot to me and is, without a doubt, my favourite videogame franchise out there, even beating the likes of BioShock. Samus Aran represents so much to me, and her impact on my life goes well beyond the iconic status she so elegantly exudes within this medium. Both the franchise and its protagonist are dear to my heart, and it has been an absolute pleasure to see them reach such a wonderful and significant milestone. So, to Metroid and Samus Aran: Thank you, from the bottom of my heart, for such wonderful adventures, memories and inspiration over the years. Thank you for delivering me some of my most awe-inspiring and poignant gaming moments, and providing countless hours of entertainment. Thank you for showing to me just how powerful games can be, and how their design can inform not only other titles, but entire franchises and genres as well. Thank you for giving me a constant in an otherwise unpredictable and sometimes harsh medium, and for empowering me through your remarkable spirit, grace, intelligence and beauty. Most of all, thank you for entering my life, and for influencing my future. I will always love you, and you will forever have my eternal respect. Happy Birthday. On a semi-related and somewhat convenient note, I have recently been playing both the original Metroid Prime, and Metroid Prime 2: Echoes as part of a (very gradual) marathon throughout the entire series. What you might not have known, however, is that I have been preparing a series about the franchise for here on the blog, covering the individual games (well, the ones I have access to, at least) as well as the entire series as a whole. Below is the overview post I was originally going to publish when I had finished every single post that I had in mind; it’s getting published now as a way to celebrate the milestone, and because I’ve made decent progress in recent weeks. I hope you enjoy the overall series and, beyond that, join me in acknowledging how remarkable this 25th anniversary is, as well as how important the franchise as a whole happens to be. Metroid Prime is one of the best games I have ever played. I thought that the first time I played it, I thought it the twentieth time I finished it, and I think it now as I play it yet again. There’s just something about it that really resonates with me and every time I play it, it reminds me of why I love videogames and why I play them. But it’s not the only Metroid game; practically the entire Metroid series exudes brilliance and, as a franchise, it deserves every ounce of reverence it has received over the years. It might not be as well-known or popular as Mario or Zelda, it might not receive all the hype and praise that other big-name franchises do on rival consoles, but it has earned and continues to enjoy respect -- quite remarkable for a series that, for whatever reason, generally flies under the radar. The other notable game in the series would have to be Super Metroid on the Super Nintendo. Despite many years and generations since release, that game still holds up superbly today and stands out as a pioneering title. It played a crucial part in forming the sub-genre we now refer to as “Metroidvania” and has influenced countless titles to date -- not all of which utilize the 2D style that the game perfected. Together with Metroid Prime, you have two fantastic games that have done a lot for this industry -- even if only discreetly -- and combine to create a franchise that is a force to be reckoned with. But, the other games in the series also deserve recognition for their own excellent experiences. Whether you look at the original game that started it all, the two Gameboy Advance iterations or Metroid Prime: Hunters on the DS, you’re almost guaranteed to find a fun, enthralling game that provides its own unique take on the Metroid universe. Samus Aran has barely put a foot wrong on her many adventures and even when she does find herself in trouble, she always finds some way to get out of her unfortunate situations. The best thing though? She always manages to do it in style, taking advantage of neat new weapons or an awesome new ability. Style, grace, agility and finesse: Samus has it all and it makes for some absolutely wonderful gaming. Precisely, then, why I’ve chosen to undergo a marathon and play every game in the series that I have access to. I’ve enjoyed each game multiple times over the years but I’ve never looked at them with the more analytical, critical eye that I have developed in recent years. I may come across as a fanboy from time to time (can’t help what’s true, right?) but I look forward to viewing the franchise from a new perspective and I hope it allows me to discover some really interesting things. The marathon begins tomorrow with my look at Metroid Prime, and will continue gradually over the coming months as I play through and discuss each game. I hope you enjoy the ride. It is great to see that Metroid has made it this far! I all the 2-D metroids live in the shadow of Super Metroid, while the 3-D ones live in the shadow of the first Metroid Prime. I am still hopefull for the future just like Mario, Samus still has a lot of ground of cover in terms of gameplay. Great Post! Gaming in Public -- And then Super Metroid lives in the shadow of Metroid Prime and vice versa, too, since the franchise's fanbase is so torn between those two titles. Heh. In all seriousness, though, I'm really disheartened by Nintendo's flat-out ignorance of the anniversary. Yes, I'm biased but you would think a milestone like that, for a franchise with as much reverance as Metroid, would be something to be shouting from the rooftops about, not acting as if the thing doesn't exist.